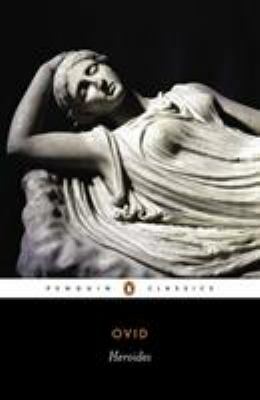 In the twenty-one poems of the Heroides , Ovid gave voice to the heroines and heroes of epic and myth. These deeply moving literary epistles reveal the happiness and torment of love, as the writers tell of their pain at separation, forgiveness of infidelity or anger at betrayal. The faithful Penelope wonders at the suspiciously long absence of Ulysses, while Dido bitterly reproaches Aeneas for too eagerly leaving her bed to follow his destiny, and Sappho--the only historical figure portrayed here--describes her passion for the cruelly rejecting Phaon. In the poetic letters between Paris and Helen the lovers seem oblivious to the tragedy prophesied for them, while in another exchange the youthful Leander asserts his foolhardy eagerness to risk his life to be with his beloved Hero. For more than seventy years, Penguin has been the leading publisher of classic literature in the English-speaking world. With more than 1,700 titles, Penguin Classics represents a global bookshelf of the best works throughout history and across genres and disciplines. Readers trust the series to provide authoritative texts enhanced by introductions and notes by distinguished scholars and contemporary authors, as well as up-to-date translations by award-winning translators. Used Good (14 available) BOOK CULTURE INC.